Even a couple of years ago, the leading concern among people using cloud services was security. Right now, there are some security enhancement features and add-ons to boost client security and company security. More and more companies are turning to SaaS for extending their market. As a result, the focus has shifted to user experience and interaction. Security concerns have always taken center stage with the digitization of debt management and loan companies. This meant some enterprises had customer data on clouds that were vulnerable to hackers and malware. Data privacy is still a leading concern for FinTech industries especially since clients need to provide sensitive bank details to access financial services from most registered companies. Some Companies have a high customer security game. Customer data is more precious than gold. Gradually the security and firewalls for cloud applications have become robust enough to prevent MySQL injection attacks and brute force attacks. Simple plugins are providing these companies with enhanced protection and consumer security. Thus, a number of these financial services companies can focus on other aspects of their SaaS. Flexibility concerns have always been there when it concerned FinTech companies. The apps should not only accommodate a vast variety of users. They should also be able to satiate the needs of some companies. Some debt companies only cater to SMBs, their budgets are smaller, and their needs are different from businesses that cater to a corporate clientele. This Software as a Service apps need to be able to take into account the company needs as well as the client needs. They should be able to bridge the demand and the supply seamlessly. Software as a Service financial software programs streamlines the process for FinTech companies. They reduce both time and effort within a significantly short period. Most FinTech companies have their client data in the clouds. The integration of SaaS with their website database and cloud storage provides them with a more holistic approach. SaaS offers a high return. This applies to all Finance service companies. Even a small business with a selected few clients will benefit from streamlining their approach. They will be able to consolidate their customer data and use it to expand their market. Since SaaS is highly flexible, any company that starts out small can keep using the same Software as a Service over an extended period. They can modify the app to scale with the business. The ease of maintenance, the degree of user engagement and the smooth scaling options make software as a service an excellent choice for almost all FinTech companies in the country. Most of the SaaS options are compatible with other existing software. If your business website is currently built on a WordPress or Joomla! The platform, you can easily opt for SaaS services. Almost all CMS platforms can support SaaS applications. You may have to modify them a little bit. However, most of them are readily compatible without any personalization. What is the financial stature of SaaS companies? SaaS companies are seeing a massive overhaul in their economic structure over the last few years. Some investors are shifting focus to the on-ground could and SaaS enterprises of the dedicated software companies. 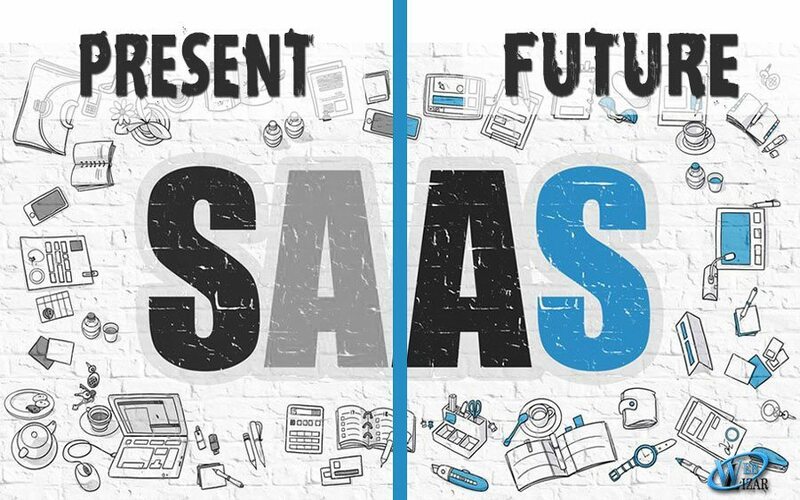 Some software legacies like SAP and Oracle are acquiring an increasing number of SaaS companies like RightNow and SuccessFactors. This is making it much easier to sell on-premise software companies. Cash flow and a delay of incoming revenues on investments are the two factors that define every SaaS company. More and number of dedicated Software as a Service company are seeking financial consolidation every day. The delayed ROI impacts the business growth and near-term profitability. Debt relief and debt consolidation are smart options for SaaS companies. Verified debt management services can help these companies win their short-term profitability and cash requirements. From starting new projects to investing more capital in ongoing ones, proper debt management and debt relief can help this on-premise software and SaaS companies significantly. Each SaaS company has a clear relationship with its market and customers. They need a new set of KPIs frequently for measuring business performance. You can engage in new KPI systems each quarter to measure company proceeds. SaaS KPIs are very different from the traditional KPIs of the non-FinTech companies. These signify when significant investments are required and which department needs number resources. From CLTV (customer LifeTime Value), CAC (Customer Acquisition Costs), Churn, MRR (Monthly Recurring Revenue) to Truc (Total Revenue under Contract) your company KPI should include all the crucial factors. Other important ratios including CACS Ratio (Customer Acquisition Cost to Sales Ratio) and Monthly Revenue to CoS are also a part of the SaaS KPI. Why is SaaS accounting challenging? SaaS is quite difficult to monitor, and the service accounts can be complicated. There are multiple points of customer interaction. As a result, there are multiple transactions per customer and client. Integrated billing platforms help in the accounting process by incorporating customer SaaS contracts with product utilization. SaaS is still a very fresh concept for most website owners and software designers. Multiple companies like Chargify and Zuora make the accounting process a lot more amicable for FinTech organizations that have adopted SaaS. Saas applications can be used to maximize your business profits and email marketing does the same. Learn some amazing tips and tricks to conquer business through your email marketing campaigns. Author Bio: Isabella Rossellini is an alternative finance researcher and market expert. She is studying the growth of newer business models based on SaaS with the help of reputed Companies.